I was aimlessly reading – I mean, purposefully doing the absolutely minimal amount of web interaction that was necessary – when I ran across this article. It details the changes that newspapers have undergone over the last 20 years or so, and draws some interesting conclusions. Here’s a list of the Gannett properties – it’s staggering to realize just how many people this reaches – papers, TV stations – even the military papers, which reach a lot of younger readers, who are bored enough to read anything. I do disagree with the Thread by @JeremyLittau as to the value of Civil. I mean, do we REALLY need yet another news aggregator built on the consensus model? Particularly when that model is dominated by the Left. Such decision-making that is permitted tends to be dominated by the Delphi Method (it’s a Leftist technique that you really need to spend some time getting familiar with – here’s a link to the way Delphi REALLY works, as opposed to how it is blandly described). 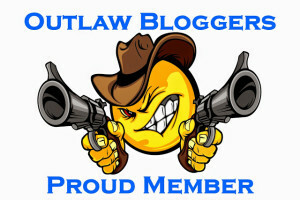 I’m working on some posts for the OutlawBloggers, that will provide some background on Leftist thought and the techniques they use in Modern America. The first one I’m doing is about Antonio Gramsci, a foundational thinker of the Left. This is a long-term project, that will likely need other people involved. If you’re interested in helping, leave a comment here with some way to contact you, and I’ll get back to you ASAP. Not only print media, but television seems to be on its way out as well. Cable subscriptions have been dropping for years. It is my understanding that the new AG is intending to bust Google and FB for antitrust. This is essential for our society, as all media and news is gravitating towards the internet. Having dominant players on the net will play too easily into the hands of authoritarians. I think you are absolutely correct. I will say this, the only people who believe what the Leftist dominated press says are……………………..Leftists. Think about it.